Renewing any type of prescription is never fun, especially an expensive, annual lens prescription, but Simple Contacts is changing that through its technology that allows clients to renew their lens prescription on a smartphone or computer. The Gramercy-based healthtech startup offers an affordable $20 online eye exam and can prescribe patients the appropriate lenses, and all of this is done in less than 5 minutes. Within 24 hours a licensed ophthalmologist will review your results and adjust your prescription accordingly. Your lenses are then shipped straight to your door in bulk. 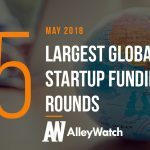 AlleyWatch spoke with CEO and cofounder Joel Wishkovsky to learn how this latest round of funding will disrupt the ophthalmology industry. The funding brings Simple Contacts total funding to $26M over five rounds and was founded in 2015. We have an incredible group of investors who are experts in healthcare and consumer technologies. 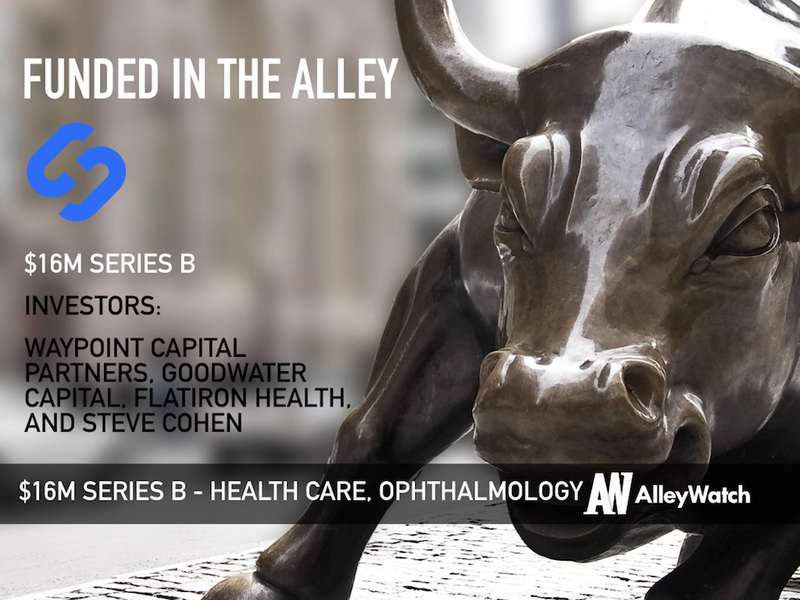 We raised $16M in Series B funding from Waypoint Capital Partners, Goodwater Capital, executives from Flatiron Health, Steven Cohen, and some of the nation’s top ophthalmologists. Tell us about Simple Contacts service. Renewing an annual lens prescription requires an annoying, expensive, and often needless trip to the Optometrist. Eighty percent of patients actually walk away from those appointments with the exact same prescription! At Simple Contacts, we offer people with healthy eyes a safe, reliable and convenient way to renew their lens prescriptions in five minutes from their phone or computer. At $20, our exam is a fraction of the cost of a traditional doctor’s visit. A licensed ophthalmologist reviews every single Simple Contacts exam to ensure that your current lens prescription is correct, and we help you order new lenses that are delivered right to your doorstep. What inspired you to start Simple Contacts? I’ve worn contact lenses for years and always found the annual renewal to be an unnecessary annoyance. In 2015, I needed to renew my contact lens prescription but didn’t have the time to schedule an appointment and visit a doctor. I had been exploring the healthcare space along with my cofounder Ryan, and this felt like a real problem that we could solve. Forty million Americans wear contacts lenses and we knew many of them were just as frustrated as I was with getting that prescription renewed. 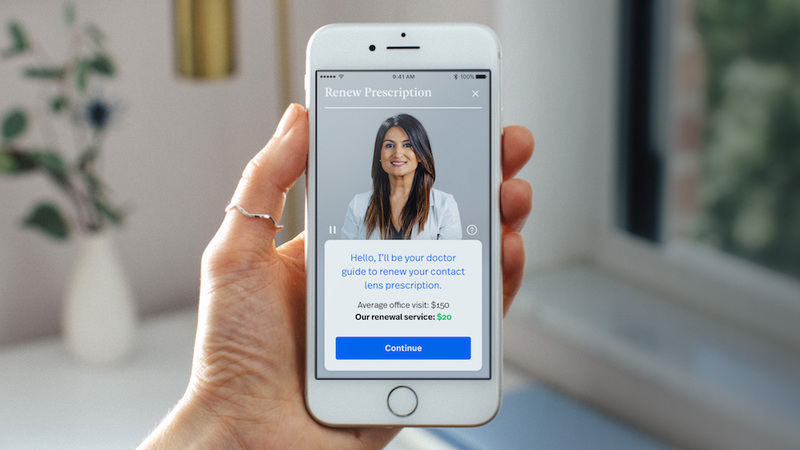 We connected with Dr. Saya Nagori, an NYU ophthalmologist and now the Medical Director of Simple Contacts, who helped us build out a clinically sound way to renew a prescription using an iPhone. How is Simple Contacts different? our decisions as a company are driven by the well being of our patients, which at times comes at the cost of our bottomline. Contact lenses are more than a $5 billion a year business in the U.S. Less than a fifth of those lenses are sold online. Online penetration has been stuck at a fifth for years because patients still need to go to a doctor in person. Allowing them to do exams online is fundamentally shifting the market in a way that is better for patients and doctors. What’s most interesting is that patients now want more. They are asking to be able to do many of their visits online. Over the coming years, we want to be there for them and plan to expand our platform to help all patients streamline their healthcare needs. Our core philosophy is that medical care fit into people’s lives on their terms. That means offering low cost and convenient options. Nobody should ever miss out on a check up because they can’t afford it. With that in mind, we built an exam that costs $20 and takes just 5 minutes. That’s a fraction of the time and money for a traditional visit, even if you have insurance! Patients can also buy their contacts from us after their visits which is how we make money. How has the business changed since we last spoke in the Fall of 2016? We’ve grown an enormous amount. This is by far the fastest growing company I’ve ever been a part of. Since we last spoke, we’ve gone from a small passionate group to an organization of more than fifty employees. We’re approaching a million downloads of our app and have done hundreds of thousands of exams. We also have raised an additional $24M to support all that growth. 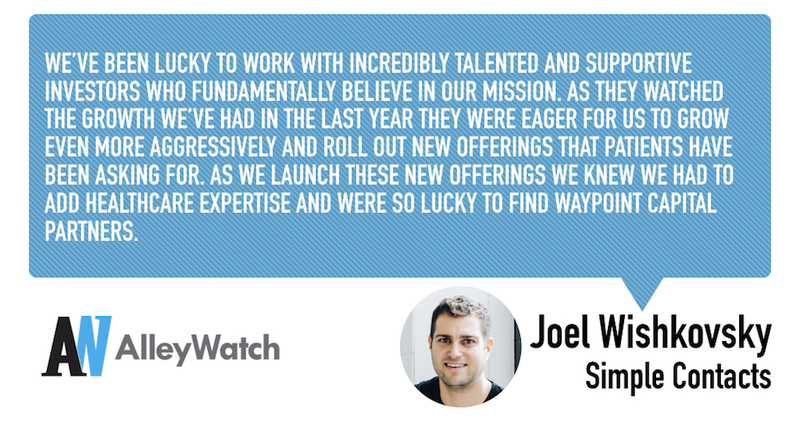 We’ve been lucky to work with incredibly talented and supportive investors who fundamentally believe in our mission. As they watched the growth we’ve had in the last year they were eager for us to grow even more aggressively and roll out new offerings that patients have been asking for. As we launch these new offerings we knew we had to add healthcare expertise and were so lucky to find Waypoint Capital Partners. We also brought in several executives from Flatiron Health (which is a great story of how that success is going to fuel more healthcare companies in NYC!) and a number of respected doctors across many health specialties. Honestly, it’s the growth. The company is less than two years old and most of them have had a first-row seat to the transformation of eye health. In just two years we’ve grown by 5X and the growth is only accelerating. We’ve built a trusted brand with widespread, and passionate, support of physicians. With that kind of base, we wanted to get more aggressive about driving awareness and expanding the capabilities of our exams both within eye health and into other issues our patients are asking for such as birth control. Building a company is hard work, and if you aren’t excited about your mission then it can become a ball and chain. If you’re working on something meaningful that you’re passionate about, it makes it easy to find equally passionate people to work with. That’s what it’s all about. When you see us you might see a contact lens company, but actually, we’re pioneering a healthcare delivery platform that fits into your life. It’s more affordable and convenient, it saves time over an office visit and it’s empathetic and actually puts patients first. If that sounds like a familiar recipe, it is; it’s the recipe for success for a consumer business. In the short term, you are going to see the power of the platform as we layer on new exam capabilities and are able to deal with even more of our patient’s healthcare needs without an office visit.